Ride Mike & Sulley to the Rescue! 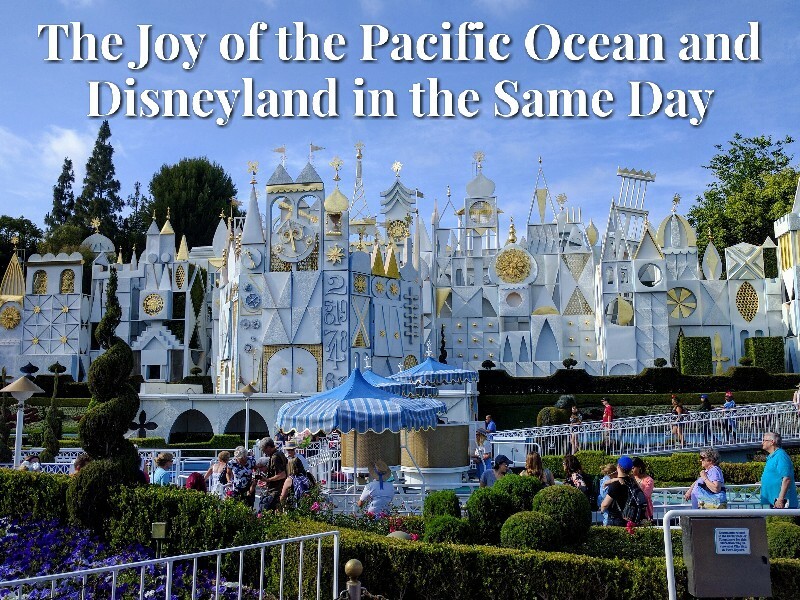 Day 9: It seemed crazy to be so close to the Pacific Ocean and not visit it. 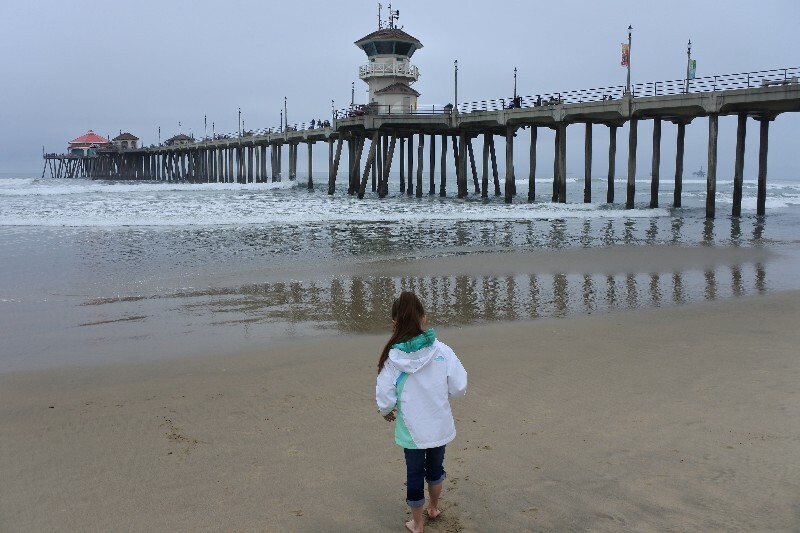 I had looked up various options in the area before we left and our final choice was Huntington Beach. It had easy to find metered parking (on a Wednesday morning, at least), only took a little over a half-hour to drive there, and had no shell collecting restrictions. The morning was overcast and cool, but we took off our shoes, rolled up our jeans, and waded in to gather shells. 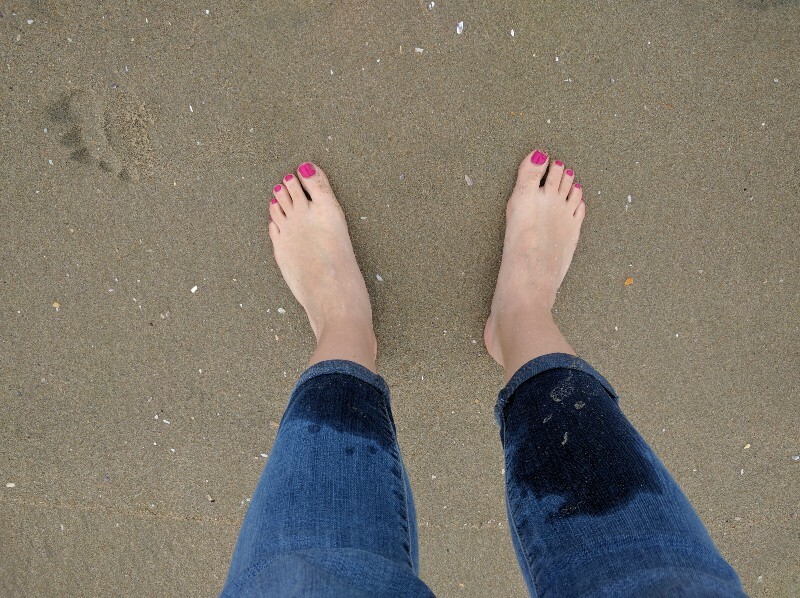 The waves were faster than I expected; I got Elizabeth out of the way in time, but my jeans ended up pretty wet. It was so worth it to see how happy those shells made her. We got back to the hotel right about lunchtime. In between the Howard Johnson and the Disneyland entrance was a Panera so we did a cheap, comfort food lunch to recharge for the parks. As we entered Disneyland California Adventure we could see people lining up in the plaza off to our left. Pro tip: An organized line of people in a random spot means a character is most likely to appear soon for meet and greet. 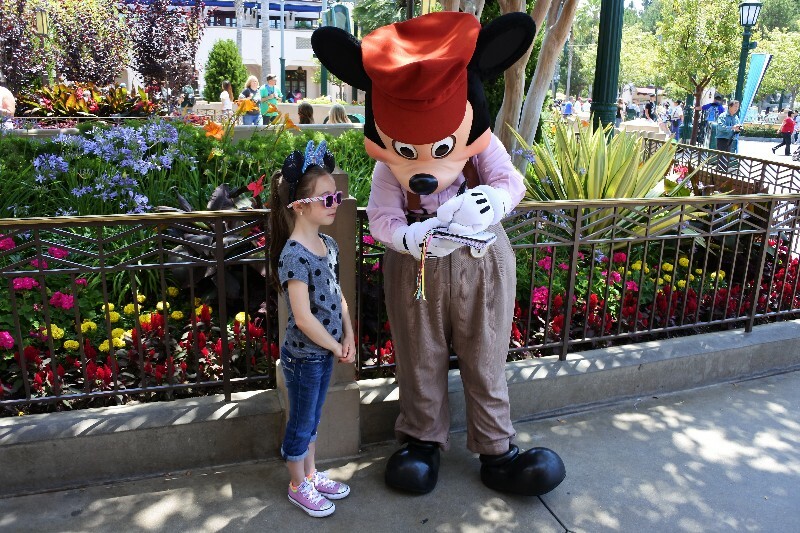 Sure enough Mickey arrived within a couple of minutes (and as soon as he appeared the line got a lot longer). From Mickey we made our way to Mike & Sulley to the Rescue!, which is a ride unique to Disneyland (no similar ride at Walt Disney World). 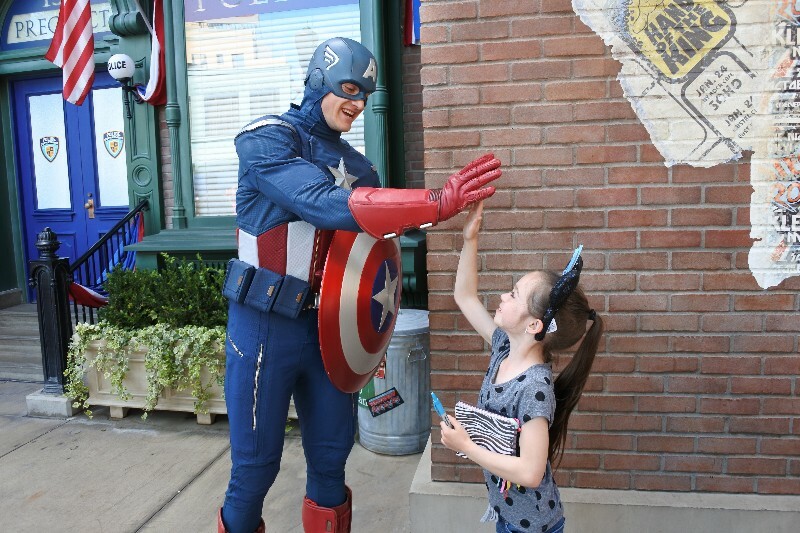 When we were done with the ride Elizabeth—okay fine, I—really wanted to meet Captain America. After waiting for.ev.er we finally got to meet him. I told Captain America that he’s my favorite. His response, “I’m nothing special”. Swoon. 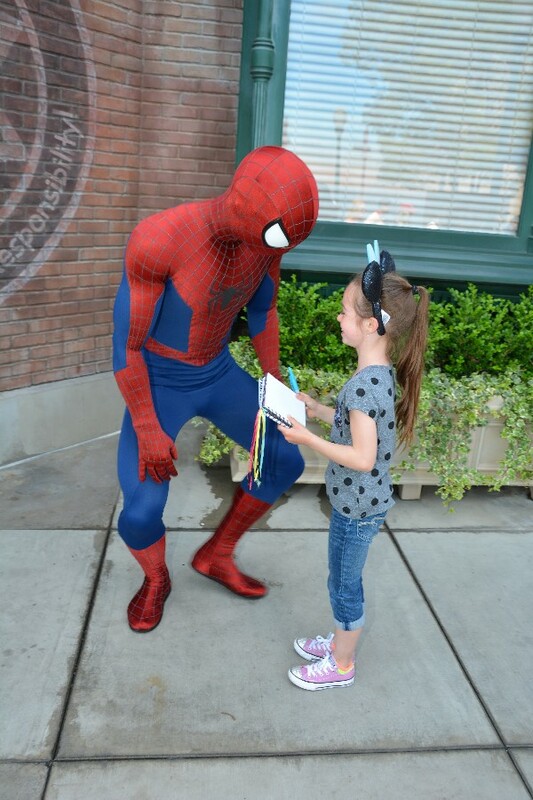 The line for Captain America was also for Spider-Man, so we did our best web throwing poses with him before moving on to wait for Nick Wilde and Judy Hopps. 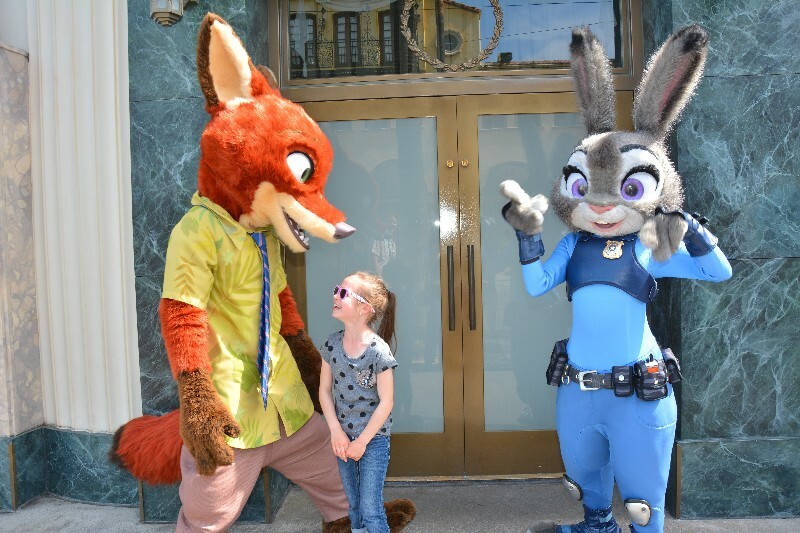 Nick and Judy were not in place yet, but due to arrive soon. We were only fifth in line when they arrived about five minutes later. We had dinner reservations at Carnation Cafe, so we made our way back across to Disneyland. We were able to squeeze in Pirates of the Caribbean (I really love the Disneyland version!) and It’s a Small World before dinner. 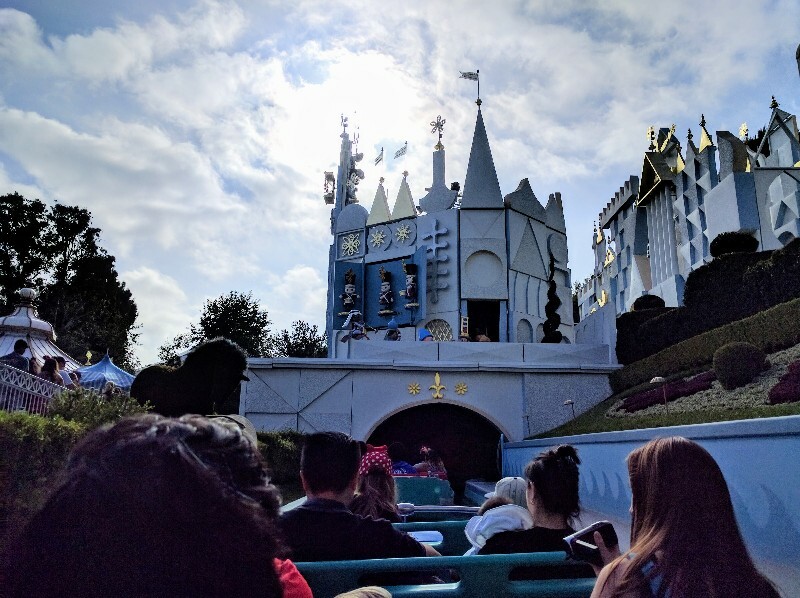 I figured It’s A Small World would be one of those rides that is basically the same as Magic Kingdom, but I was wrong! 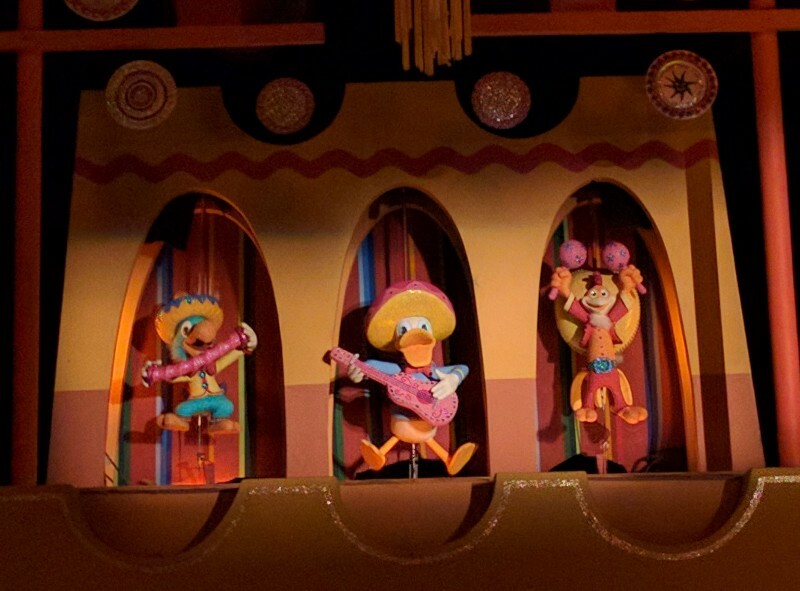 It was similar in overall theme, but had fun shout outs to Disney movie characters including the 3 Caballeros (who are also prominently featured in my favorite kitschy ride at Epcot – The Gran Fiesta Tour inside Mexico Pavilion)! 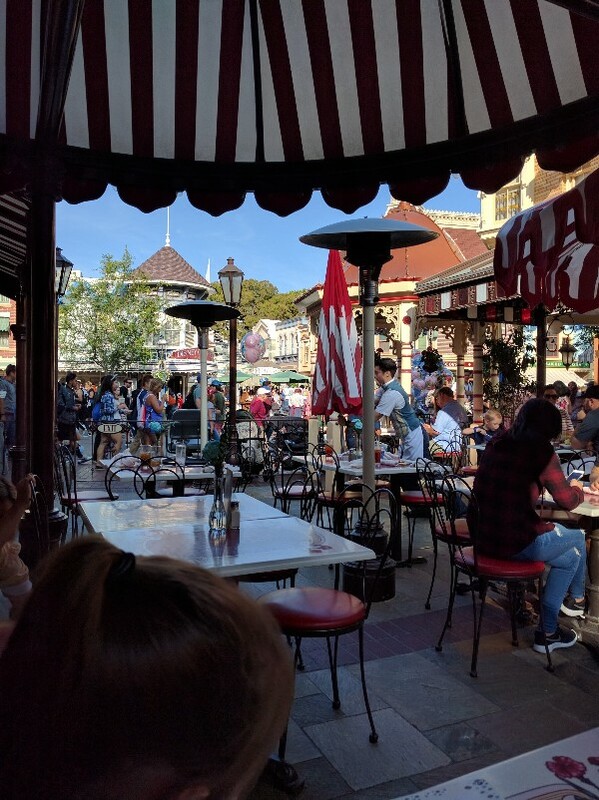 It was time for us to head to dinner at Carnation Cafe where the chef came out as usual to discuss safe food options for Elizabeth (see my article about dealing with food allergies at Disney). We devoured our meal and for the first time ever my travel companions gave up and wanted to go back to the hotel before closing time. I guess nine days non-stop was their limit, so I grudgingly headed back to the hotel to pack for our trip home the next day.